Rediscovering the table light: The original concept merges athmospheric illumination with maximum energy efficiency for office lighting. 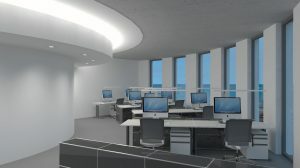 By the seperation of basic and workplace illumination it allows for a differentiated and individually adjustable distribution of light at a lower energy usage than conventional lighting concepts. 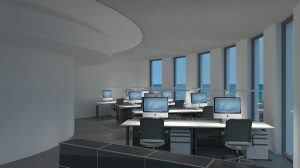 The detachment of workplace lighting from the grid of office layouts implies flexibility in furnishing, whilst the attachment to the desk allows the user to adapt the lighting level of their workspace to their individual needs and actual task: This enables multiple, personal lighting zones within open space working environments. Low-treshold illumination by centrally controlled uplights or and spots. Dimmable table lights provide high illuminance on the desktop. 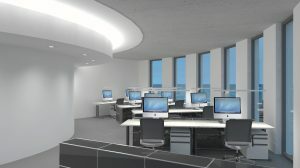 Athmospheric as well as effective office illumination resulting in an energy saving of approximately 30%. Intense illuminance where it is needed: early simulations show a reduce in energy consumption of about 30% (Image by Zumtobel). 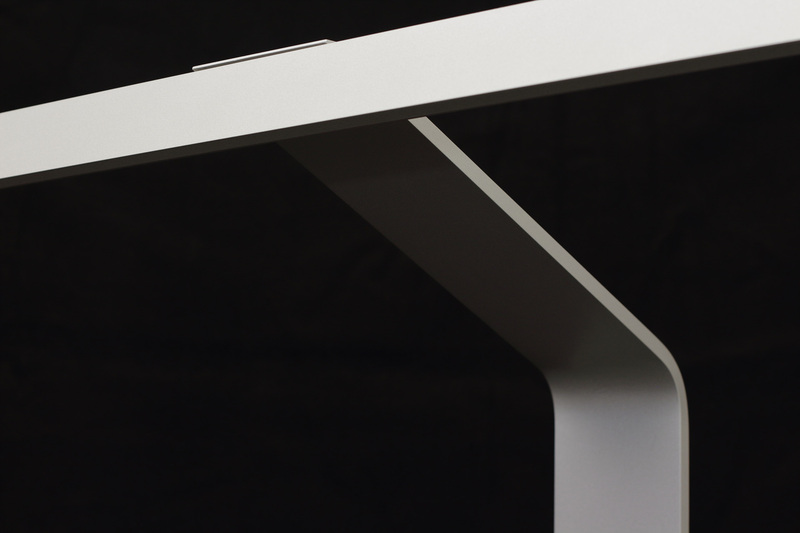 The unique design of the Tignum table light adapts to various workstation configurations, whereby the linear luminaire is always positioned right above the table surface. 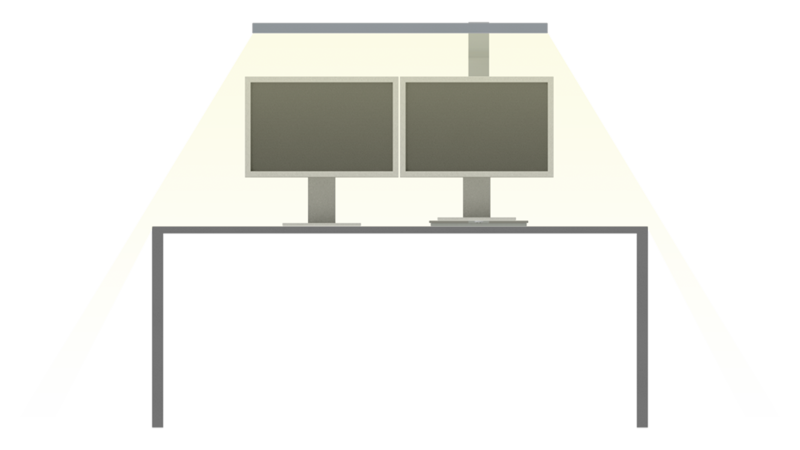 It doesn’t take additional space on the desk as computer screens may be placed on or even mounted to it. The dimming wheel, a key feature, was shaped with a ripped surface, giving the user a tactile experience that encourages interaction with the product. 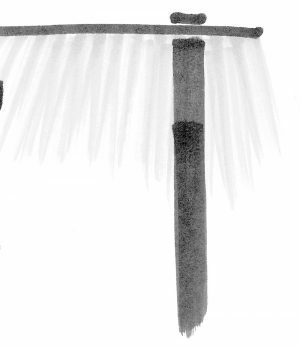 More about Tignum on the editions.